Do you prefer controlling your ammo, accuracy, velocity? Do do you spend an hour making 10 perfect target rounds or an hour cranking out 1000 match rounds? Regardless, here’s my cost breakdown and I want to know yours. I cast all my own projectiles from reclaimed range lead. total cost: $0.0526 per round. Now, if you’ve stuck with me this long why does it matter ?? Thats $0.47 per round and you run the risk of the place not even having what you need when you go shopping. What do you use and why? 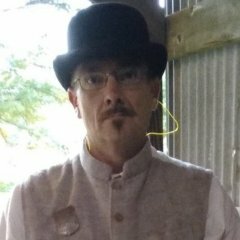 Eager to learn from y’all and hear your take on it. I purchase commercially cast bullets which raises my cost per round above yours but I do watch for “buys” on primers and powder, which helps. I’ve calculated my bullet, primer and powder cost for .38 Special at 10 cents per round based on those figures. I can also make ammo to suit my own requirements. Most of the Factory cowboy ammo I have tried is loaded at a higher velocity than I want. 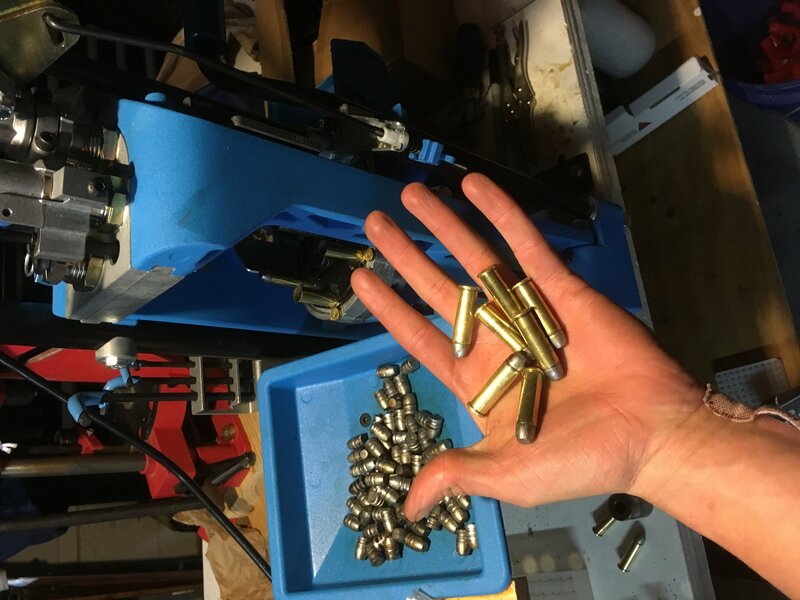 I happen to enjoy handloading, probably for the same reasons I enjoy cooking. Cost is a major concern but so is availability. 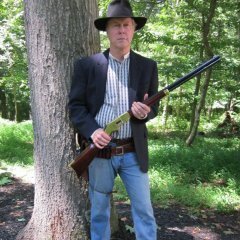 My wife and I shoot black powder rounds and what we need is usually unavailable commercially. For my long range rounds, accuracy is the primary concern. For main match rounds reliable feeding in our rifles is a major concern. As A.E.S.C notes, commercial ammunition is usually loaded too heavily for our sport. By reloading we have inexpensive, reliable ammo that is always available and meets our specifications. We could not shoot CAS the way we like without reloading. I do not cast as I can buy commercial bullets that meet our needs at reasonable prices. I do buy once-fired brass and reclaimed shot to help keep costs down. Reloading saves $$$$, big time. Been reloading for 55+ yrs. THANKS FOR THE CALCULATORS!! Does definitely would’ve been nice to know about prior to doing all of this LOL. Now I have to go back in and put my pencil and paper math to see how accurate I am! And I agree. There is some thing therapeutic about working with a reloading machines once they are up and running. Where do you see or find the “deals”? Are you on a forum or just an email listserv? I reload to save money given we go through a lot of ammo in my household and soon to be be much more. I crank out 6-700 match rounds an hour, no concern about 'perfect' rounds, will it chamber, will it go bang. For eight years the answer to both has always been yes. For 38 special I purchase once fired brass for about .03 per piece and I probably lose in the neighborhood of 1,500 piece's a year. So that's $45 dollars a year for brass. Last year we probably used around 15,000 rounds, so brass is costing about $0.003 per round. I use Clays like you. I load 2.7 grains for a 125 grain bullet, so that's $.007 per round. I use Federal primers, so .032 per round. I buy my bullets for $400 for 10,000, so .04 per round. So for 38 special, .003 + .007 + .032 + .04 = $0.082 per round, give or take a tenth of a cent either way. A typical match cost me about $20 per shooter including AA featherlites. For .32 H&R magnum it's a bit different. The brass is much more expensive, but basically lasts forever. No shrinkage because it doesn't get fired in rifles. So for 32 H&R it's .006 (2.3 grains of Clays) + .032 + .04 = $0.078 per round. Order from PVI and it will be delivered to your door-They will combine primers and powder(up to 48LBS)under one haz-mat fee. Deals on primers and powder: I've bought in bulk online so the HAZMAT fees don't run up my costs. I've also bought from Sportsmans Warehouse using gift certificates given at major matches. Deals on lead shot: I buy once-fired shot from a local trap range and some virgin shot using Sportsman's gift certificates. I also bought part of the inventory of a shop going out of business. Shotgun hulls: I get these free by dumpster diving at my local trap range. I only reload them once with black powder. Deals on cast bullets: besides using gift certificates given at major matches, I buy from vendors who deliver to matches I attend. Without a shipping charge these bullets are less expensive. Cast my own bullets . Lube and size my own bullets . Bought enough lead and powder to last a lifetime . Have enough cases for everything I own and buy some when found cheap enough . Loading on Lee Equipment for 30 years . And Yes You will Save 50% or more to reload . I started reloading after a couple of club matches. My 1st CASS guns were 45C. 45C Magtech & Winchester per box cost $43-45 a box at the LGS. The cost of ammo & gasoline took a big bite out of my family disposable income at the time. Besides the brass from the factory ammo I had purchased a gun nut coworker gave me the 45C brass he saved from his shooting. I have also purchased 1000 new Starline cases when I find it onsale. Since I have an XL650 press & Lee single stage breech-lock press I reload for my 40 something daughter & son if they supply the brass. First of all, I want to thank you again for your post. There are still many of us out there that currently do not reload their own ammo, and your breakdown brings to light the benefits of doing so. I know that having the equipment and the time to reload are probably the two main reasons that many of us have yet to get into reloading. I saw a lot of Cost-$0.00 in your calculations and that is a good thing. 6. Do you use any special tools or gadgets to find the lead? Cost per round 8.3 cents a round. That comes out ot $4.15 for a box of 50.
reloading and casting are both hobbies in themselves for me. I've gotten to the age where buying processed lead vs having to smelt it is an attractive aproach for me so there is a bit of cost for my bullets. I powder coat them and this is becoming another separate hobby too. Power set at the level I need for what part of the Cowboy game I am shooting. Clean, low blowback, low recoil function that allows fastest possible stages. Ability to shoot right though recent outages of powder, primers, brass, projectiles, even loaded ammo. I actually don't gather anymore. The range I used to go to is no longer managed by the same people so my supply has ended. That being said I gathered more lead than I will ever be able to shoot in the next 5 years. Roughly 300# of lead that yields around 55 rounds a pound. When I hit 165k cast rounds I will start venturing again. My process was this, after the range went cold I had a shovel a bucket and a homemade sifter. I would go to the berms and start scooping. Let the sand fall through and catch the scrap. Make sure any dirt you shift from the berm you put back. you shouldn't have to scoop more than just a few inches down anyway, but still, leave the range better than you found it. Keep in mind that you are dealing with lead so long sleeves, gloves and a face mask are REQUIRED. After I had as much as I could lift I called it quits. Then head home and get the dirt off with a hose. Not mandatory but if you have a lot of clay it helps speed up the melting process. Once its dry (do not try and melt down wet lead or it can pop and splatter on you) its into the forge/furnace to melt the scrap down and separate it from any pebbles or copper jackets and pour it into ingots for casting later. 1. you're dealing with Pb that melts at 622'F and casts at between 740-800'F and will burn you to the bone if it spills on you (yes, I am speaking from experience) so all the proper protective equipment is mandatory. Gloves, long sleeves made out of something like wool or heavy cotton, Eye pro and a mask of some kind. 2. do it outside and in a well ventilated area. big fans are a bonus but not required. 3. if you ask your local club, some guys will let you put down "lead catchers" under the targets. basically a steel strip that the shot and rounds will fall into after they hit the targets. then after the matches you just go pick them up without digging. They are actually helpful because it keeps the ground from being torn up under the targets. 4. finding it is pretty easy and no tools other than just looking. if you walk down range you will see a lot of rounds that have just ended up there, but your greatest yield will come from the berms. Nice! good to know I'm not totally out to left field. What is your shotgun reloading setup? I have a hornady 366 and a ton of reduced noise/recoil hulls that I'm waiting to get into reloading until I know what kind of primers/wads to load and can get a lead shot maker. I used to reload on a Mec, but now I just go with store bought. Reloading pistol/rifle ammo saves me hundreds of dollars every month. If I save roughly .39 per round and typically shoot 1,100 rounds a month that's over $400. Reloading 1,100 rounds takes just under 2 hours. Based on my experience the cheapest I can reload 12 gauge is about $4.50 a box versus buying it for at most $8.50 a box and with the occasional rebates potentially $6.50 a box. Last year we averaged about 9-10 boxes a month, so I'm saving maybe $36-40 a month at most. Reloading 9 boxes of shotgun shells takes me about 2.5 - 3 hours. That's not worth the time it takes to reload, at least not to me. You can really cut the cost down with reclaimed shot. I’m on salary, but if I exceed my target hours I get compensated at a fairly generous hourly rate. Given that we have enough business for me to work 24/7/365 if I wanted (I don’t) my rule of thumb is if I’m not saving at least my hourly rate then I should be working and just buy it. 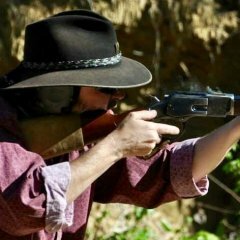 I would have to be able to reload at zero cost plus get paid to reload to make reloading shotgun ammo a good deal. Agree. Rebates and trusting friends to get rebate checks to, keeps me thinking not worth my time and cost of a good shotgun reloader. Especially when I get them down to $75 to 80 Case, then get rebate check. Why? Primary reason is cost. Bullet weight, powder charge is a bonus. By the way, I didn't see the cost of your press in your calculations. Yes, I know that it gets cheaper with every completed round. But you got to add in the number of rounds it takes to offset the cost of the fancy blue machine. It's not worth it to me to load shotgun shells either. It takes me about an hour to load 100 on my Mec Jr. I was wandering around Bass Pro shop a week ago and they were clearing out their low recoil Remington STS shells for $6.88 a box. I bought all 20 boxes they had on the shelf and sent Gomer to the stock room to hunt for more. 30 minutes later, he finally returned empty handed. I guess he got lost or took a break. Why do I reload? Because I shoot too many different caliber firearms and the commercial ammunition is not available. Add to the reason (available) commercial black powder cartridge & shot shells cost an arm & 2 legs! So, in addition I also have to cast the bullets for the calibers ... too and including for example 22 LR bullets for my black powder rounds and the bullets for a 38 Long RF Tip Up rifle, the 9.5x47R Schuetzen rifle ... etc, etc, etc Then try and find the brass! I load for black powder and make my own powder so here's my breakdown per round. $0.0054 a round when loading 20 grains to push a 200 grain bullet. total cost: $0.148 per round. 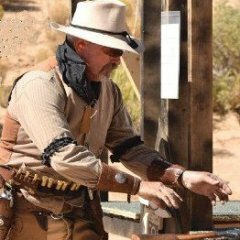 I know a Cowboy shooter who buys his ammo by the case both 38's and 12 ga.
Why you may ask because I asked that question , his answer was I am a lawyer and don't have the time to reload. I love to shoot and it a relaxing break from my job and the people I meet on the range are so different from those at work. When reloading your time doing it from scrounging lead ,casting bullets ,cleaning brass and etc.has to be added to the overall cost. Up front cost of reloading equipment is an investment that can be recouped when selling such equipment down the road. 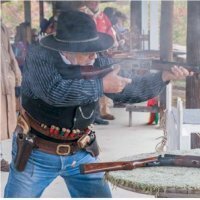 If shooting Black powder or substitute then you have to reload to get the results you need . Which equipment you buy depends on how much you shoot and how much time you want to spend at the loading bench. I had more time than money back in 1971 , so I bought a used RCBS Rockchocker ,still have it used now for 100 rounds of rifle each year. Dillon Squaredeal was a step up then two Dillon 650's and a Dillon shot shell loader..
Dillon loaders retail prices increase each year 5 or 10 years from when purchased you will get your money back and have saved money on reloading. Check that - think you are off on your addition, as the costs you cited are 3 + 3.5 + 0.5 cents per round, or 7 cents a round. Thanks for catching that. Fixed now. I don't cast my own. I load for about $4.50 for a box of 50 .38’s buying my bullets from local guys.